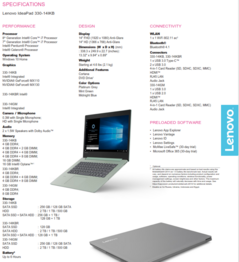 Today Lenovo announced the new IdeaPad 330 and IdeaPad 320S which they claim to meet the specifications, price, and looks that most consumers want in an affordable laptop. 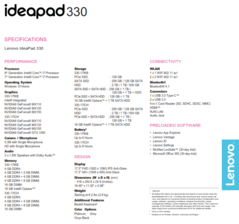 The Lenovo IdeaPad came about in the late 2000’s as a consumer-oriented counterpart to the hugely successful business-orientated ThinkPad. Dedicated GPU options include the MX110, MX130, MX150, and GTX 1050. 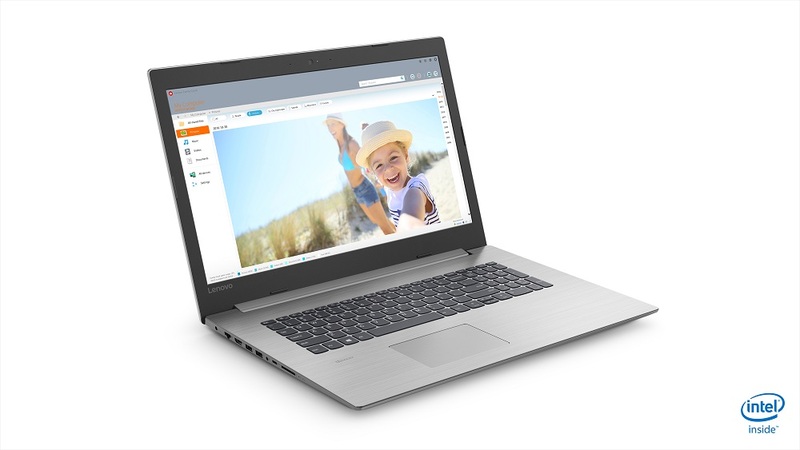 Today Lenovo announced the IdeaPad 330 and IdeaPad 330S alongside the slimmer and more expensive IdeaPad 530S. 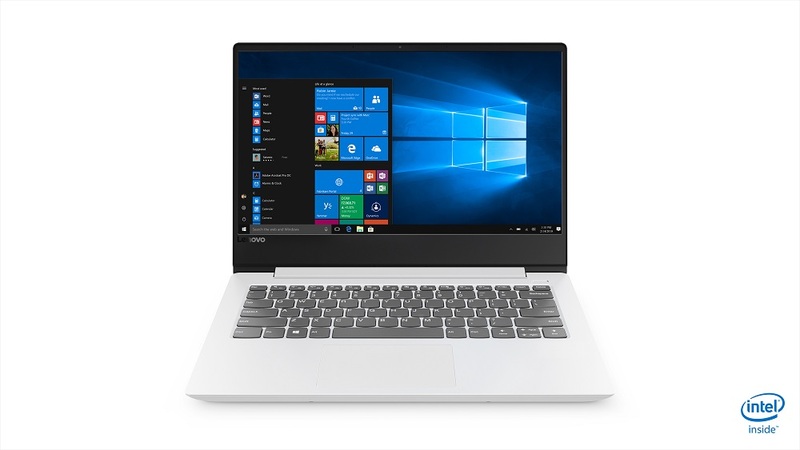 The IdeaPad 330 is the thicker and heavier of the duo at 2.1 kg (4.6 pounds) for the 14-inch, 2.2 kg (4.8 pounds) for the 15.6-inch, and 2.8 kg (6.2 pounds) for the 17.3-inch model. The thickness of the 14-inch model is 23 mm (0.89 inches), the 15.6-inch is 23 mm (0.90 inches), and the 17.3-inch is 25 mm (0.98 inches). Processors range from the Intel Celeron N4000, through the Pentium, and up to the Core i7-8750H, a full 6C/12T notebook processor. For dedicated GPUs, consumers can choose the Nvidia MX110, MX130, MX150 (15.6/17.3-inch models), or GTX 1050 (15.6/17.3 inch models). The first two will allow for some light gaming at low resolutions, the MX150 can handle modern titles at lower settings between HD and FullHD, while the GTX 1050 is suited to playing current games in FullHD around medium settings. Base memory options are anemic at 4 GB, and this will likely be the most prominent point of complaint regarding performance, especially when paired with one of the hard-drive-only models (slow page file). Fortunately, more RAM can be added before purchase. The 330 also has a DVD drive, although many who still need an optical drive will probably own an external DVD drive now. 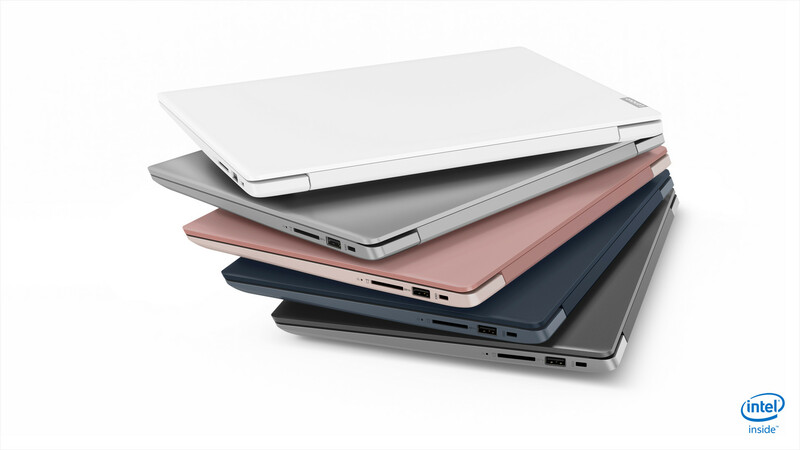 The IdeaPad 330S is slimmed down slightly, coming in a few millimeters thinner and a few hundred grams lighter. The thickness measures 19 mm (0.75 inches) on the 14-inch model, with the 15.6-inch measuring 19 to 21 mm (0.76 to 0.82 inches) depending on whether you opt for the model with integrated graphics or GTX 1050. 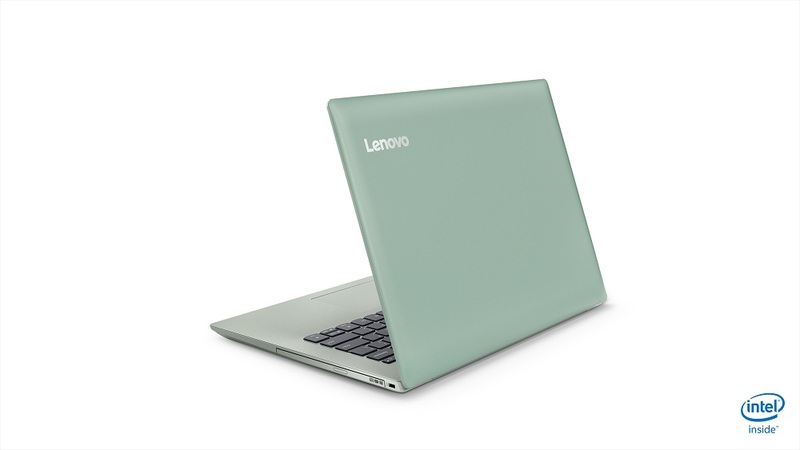 Weight ranges from 1.67 kg (3.68 pounds) to 1.87 kg (4.12 pounds) for the 14-inch and 15.6-inch respectively. Other more premium touches show with the aluminum panel on the lid and slim bezels. 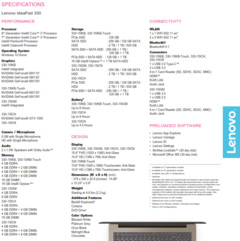 Rounding off the specifications for both is 1x1 802.11ac or 2x2 802.11ac (330 only) WiFi, Bluetooth 4.1, 1 x USB-C (330 is just 5Gbps), 2 x USB3.0, 1 x HDMI, SD card reader, and an RJ45 LAN jack (330 only).